Many of you know about the recent issues surrounding copyright infringement involving a well-known fabric designer and a well-known publisher, and many of you may not. Having heard the rumors early on, and then some posts with names omitted, and finally the recent public acknowledgments of the whole thing I have been watching carefully. I read the early rumors and postings with quite a bit of incredulity; I felt confident that important facts were being omitted. More recently I have been aghast at how the community has been treating the fabric designer, whether it be due to a lack of understanding about copyright or some other reason. Regardless of the motives I must admit I was taken aback by some of the comments I have read. I really have nothing to gain by weighing in on this issue; heck, the only likely consequence is that I alienate some potential or current fans. Nevertheless I feel compelled to talk about this from a few different angles, and the first is to address the blogging/commenting part of the community. Haven’t we gone down this road enough times already? Isn’t it about every month that another post/set of comments comes up that reminds us that words matter, that partially informed statements are at best hurtful and at worst seriously dangerous? Do we really have to remind ourselves again and again that the people who work in this (and every) field are in fact human beings who invariably put a lot of themselves into everything they do? This isn’t about taking sides, or a matter of being able to express your opinion; this is simply a matter of common decency. If you think the situation in question was anything other than heart wrenching for everyone involved I can assure you that you are mistaken. This should never have happened. It is as simple as that. Neither the author nor the designer should be blamed in the least, not even the tiniest bit. But this really ought not be about blame. The issue has been settled. It is in the past. What I really want to talk about is what we should learn from this. I’m going to try to distill the rules surrounding copyright, at least as it applies to fabric. If you buy my fabric through legitimate channels (I don’t think there is a black market for designer fabric, but who knows) you can make whatever you want to make out of it. You can make things and give them away, you can make and sell things at craft fairs, you can make and sell on Etsy, Craftsy, your own website or whatever. If you want to contact Andover and buy 1,000 bolts of Flock in order to mass produce bags, dress, or quilts, feel free. I bet you Andover would even do a special printing just for you and cut you an awesome deal. If you buy the fabric you can make what you want out of it, and here is why: that way Andover and I are already receiving our royalty/or fee. Once those obligations are fulfilled the use of the fabric is up to the purchaser. Want to know what my royalty is? It is somewhere between 1 and 2% of retail. If you want to use my fabric for a pattern either to sell that pattern or for inclusion in a book, that is great, too, please do. Perhaps you bought the fabric, or maybe Andover sent it to you, or maybe a shop you have a relationship gave it to you, heck maybe I sent it directly to you; all of those are fine. I will be flattered, I promise. When you do this, the images you use of the resultant object are about your design; the fabric is essentially happenstance. Hopefully my fabric makes your design look great, and vice versa. If you are using a single designer’s fabric I think it is good form to credit that designer, but that is just a nicety. I, and most designers, will likely help promote your design via social media. I cannot repeat this enough: there is no copyright problem here; you do not need my permission to publish and/or sell designs that utilize my fabric. Now here is where you will get into trouble. If you take my designs and photograph them, scan them, or pull them from the web and reprint them to another surface to make things to sell you will be crossing the line. Let me be clear, this does not mean photographing a quilt to be included in a book, magazine, or pattern. This would include things like scanning my fabric design, reprinting it on paper and selling that for scrapbooking. This would include taking images of my designs and printing them onto mugs, sketchpad covers, sneakers or anything else Zazzle or similar sites can make and putting those up for sale. This would include taking a photograph of my fabric designs and printing that on fabric to make things for sale. You would be in serious trouble. You would be in violation of my copyright and I would call my lawyer. Further than that, if you were to do so that simply would not be okay; it would be downright uncool. The principle at hand here is the difference between the object that is the fabric and the designs themselves. If you are working with the fabric and creating a new object using the fabric you are safe. If you are using my designs and reproducing them, not the fabric they are printed on, you are in trouble. If you are making new fabric (or paper or any other surface) using my designs you are stealing my designs for your profit. This isn’t just about money, though that does obviously play into copyright issues. Heaven knows there is not a lot of money in fabric; just ask any shop owner, a manufacturer, a mill, or any other designer. This is about the work. Ask any pattern writer how they feel when they see their patterns circulating on pattern sharing sites. Ask any author how they feel when they see their work plagiarized. Any creative endeavor is an incredible amount of work; working in a creative capacity is not just a job, it is a vocation. It has extraordinary rewards, but it can be very costly on myriad fronts. This is about respect. Whatever you may think of Marxism, I think Marx got at least one thing right: our labors are an essential part of our being, and to steal that labor is in no small way to dehumanize a person. It is to say that that labor is not due serious consideration, that the result of that labor is just another thing. Within a capitalist system that consideration is generally tendered monetarily through contracts, but that is only one manifestation of the essential concern. And bypassing that consideration is simply unjust. I hope this clarifies copyright a little. I hope it also elucidates the issues at hand. But most of all I hope it helps put this all behind us, to help us put aside the unwarranted attacks and the animosity. Two talented designers got sucked into a problem that was not their fault; one fabric designer who I respect enormously, and care for deeply has been maligned needlessly and, to be honest, unfairly; a community I have grown to respect has once again gone down a painful path, and a great deal of misunderstanding has been generated. What I really hope for is that we can all work to avoid ill-informed criticism, and to support this community that gives us so much satisfaction. 1. Comparing anyone to a Nazi at any time and for any reason, unless that person is in fact a Nazi is and always will fall into the following categories: stupid, cruel, demeaning to the actual horrible history associated with the Nazis and the gravity of the loss felt by those affected by the Holocaust. 2. 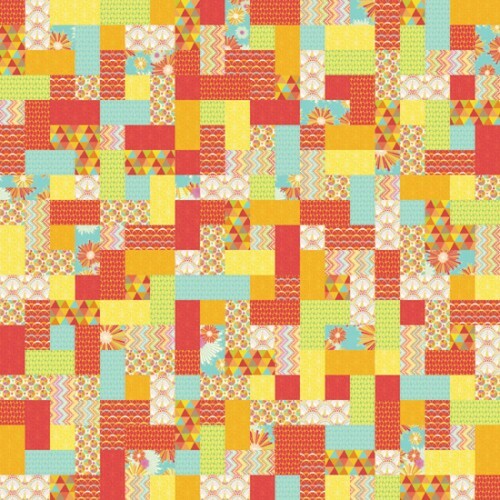 I want to state this absolute clarity: you will never be sued for making a quilt with fabric, designer or otherwise. Period. The end. If you still believe otherwise, please seek legal counsel. 3. Much of the early information surrounding the case that prompted this post is inaccurate, half-formed, and/or distorted. If you are still basing your concerns on that early information, please cease to do so; it will not lead to anywhere good. 4. While I do believe everything I have said to be legally correct, if you find yourself engaging in behavior that you suspect may be copyright infringement please seek legal counsel. As a rule of thumb, though, unless you are involved in the mass-production of designs that are not yours you are almost certainly safe. There. Now, with that out of the way I’d like to address a couple of specific questions. 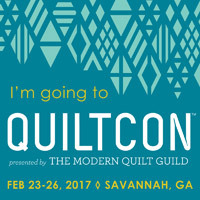 Am I allowed to use cropped images of the quilt I made with your fabric in my book, pattern, or to enter my quilt into a show? Is perfectly fine, but that is very different than the way it is used in the example of the tote bag. In this page layout, or anything like it, it is clearly a detail of a larger work, your larger work. The context is important. For example if that cropped image were digitally produced (ie done as a purely digital layout of the designs) and used as page 47 in a book entitled “100 Best Fabric Collections of All Time” there would be a problem. In this case it would be much the same as using an image of the Mona Lisa in a book without paying for permission to the rights owner. Why do you think Art History books are so expensive? Can I use thumbnails of your designs in my pattern or book to indicate yardage requirements? In my mind the answer to this is yes, though I am not absolutely sure. Let’s say I am 99% sure. It may get a little touchy for books depending on the specific context, and I would suggest that editors ought to know about the details here. 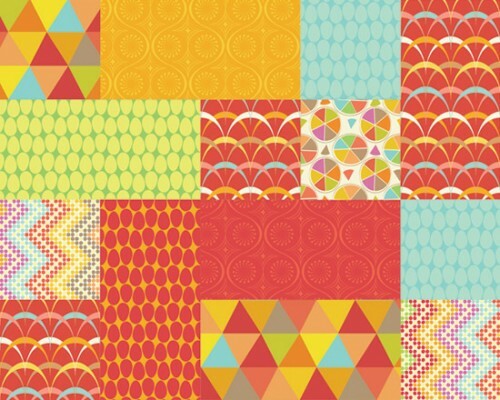 When it comes to patterns I do not believe there is a legal problem. Again, context is important. If you want to use images of my designs as part of your pattern to illustrate yardage needs of each of those prints, that is entirely different than, say, using those same images to create a calendar of your favorite prints. 1. If you buy fabric and make something, that new thing is yours to do with as you please. You will not be sued. Period. 2. If you photograph your creation and print that as part of a book, pattern, exhibition catalogue, etc. you will not be sued. Period. 3. If you A) take the images of my designs from my site, Andover’s site, the Fat Quarter Shop, etc. B) photograph my fabric, or arrangements of my fabric, or C) scan my fabric or arrangements of my fabric and print that image(s) onto fabric and sell that newly printed fabric or paper, or things made from that newly printed fabric or paper you will indeed be infringing upon my copyright. Do not do that. If you are worried that what you are doing may be close to this last category of activity you may want to rethink what you are doing, and you should definitely seek legal counsel. I hope this clarifies the remaining questions. This is the last addition I will be making, as I do not really have the time or energy to field every question everyone has about copyright. For the most part it involves a lot of common sense. Again, I caution you all to recognize that the early rumors about the prompting circumstances left out a lot of details and likely caused unnecessary hysteria. Please step away from the hysteria. None of this affects 99.99% of you. Resume sewing and using fabric as usual. Frivolous lawsuits are always possible. This post in no way guarantees any particular person will not be sued by any other particular person, for reasons of copyright or otherwise. That said, I believe my statements to be sound and that they lay out the broad strokes of copyright law. Now what you all do in your lives and your legal circumstances is ultimately beyond my control. As always, consult legal counsel if in doubt. Ripple effects happen. The law is complicated. Once a transgression takes place it often may spread to involve many other related elements and parties. That said, unless you find yourself involved in one way or another with the mass production of derivative product based on someone else’s designs you are infinitely unlikely to find yourself involved in legal proceedings related to your use of fabric. This entry was posted in general and tagged commentary, copyright. Bookmark the permalink. Clear, concise, UNDERSTANDABLE. Well said, Thomas. If I could hug you right now I would. Clear and thoughtful- thank you. Above all I am so saddened by the witch hunt that took place. I so wish people would be kinder and lose that sense of entitlement that their opinion trumps people’s feelings. Well said. Bravo. Will RT. Excellent post! Thanks for the clarification. There’s always more to a story than anyone understands and it saddens me that people feel like they can say things in a blog comment section that they would probably never say to someone face to face. Thank you, Thomas, for you thoughtful response to this situation. I own a quilt shop, have met both Kate and Emily, and have been appalled by some the responses to this situation via social media sites. BTW..Best of luck with your fabric lines – we LOOOOVE Andover and David Weinstein, and we carry your fabrics in our shop! I wish Kate had more control over the story as it unfolded. I knew I didn’t have all the facts at the time, but it was hard to imagine justification for the legal threats until I understood the circumstances. Thank you so much for such a level-headed contribution to this whole mess. As a designer myself, I have felt sympathy for both parties. It isn’t hard to imagine finding myself in either of their shoes. I also really appreciate your thoughts about the value of one’s labour, above and beyond the monetary. I think that’s something we often lose sight of in our piracy-happy culture. Thank you for the clarification. Most everything I’ve read is confusing legalese. Thomas, you gave a perfect example to all of us who quilt an worry. Thank you for the pictures since I am such a visual learner! Well said Thomas, and my feelings exactly. very well said. seriously sad for all those involved. it’s my up most hope that folks will learn not only to simmer down on the “quick hate”, but will understand the rules of the playground. Well written Thomas, a clear and concise view of the current ‘drama’. I really enjoyed this look into copyright intricacies–and the illustrations were particularly helpful (especially the different tote bags!). Very well said. Your explanation certainly makes this issue a bit easier to understand. I like common decency, and I like this post. Thank you. Well said. I wish people had been able to read this before they posted comments on the other blogs, some of it did get ugly. What you’ve written certainly makes some clarifications which were lacking in the original posts, which granted were written from a more emotional stand point. Thank you for this. Very good article in so many ways! I really like the way you explained it using your own fabric instead of beating the same bush and laying blame or taking sides, very professional. You were also very clear and your examples excellent. Thank you for touching on a subject that is so misunderstood and all too often flagrantly abused. this was very well written. thanks for helping me understand the “rules”! Beautifully put. My sentiments exactly. One of the clearest summaries I’ve read, I also love that you referenced Marx. Awesome. You are awesome! You literally put into one concise post a clear picture of what occurred. It is the conclusion anyone would have come to if they had waited to read the facts posted by the publishing company. I think that bloggers need to remember that when posting their negative feelings on topics they can potentially effect others in negative way. Sometimes private emails to friends is a better choice. Those not directly invovled need to avoid unfounded accusations and spreading gossip! Now I like gossip when talking about a new DS quilts line at Joann’s or the possibility of wider fabric for backings, but NOT when involves peoples reputations and livelihoods. Thanks again for such a great post. Can I share this on other social media outlets? Well said. Thank you for writing such a clear, thoughtful post. Very well said! I agree that we as a blogging community need to start examining our words and how they are used. Thank you for bringing up that point along with the copyright issues. Thank you very much for the clarification. You made it very easy to understand and the examples sealed the deal! Thank you for taking the time to do this. I was thinking of the possibilities of a way to earn extra money during my future retirement, it sure scared me to think that I would not be able to do so with the only “talent” I have. I just couldn’t figure out how everyone else was doing so without being sued. Thank you again for taking time to clarify the guidelines. I wish you the best of luck and will look into your products. Thank you for taking the time to write such a great summary. Well done you! Very clearly and logically written, without fuelling any further debate, thank you. I appreciate your clarity on where the line exists, until now I had not found it appreciably delineated. Thank you for such a insightful and thoughtful post. I am saddened and quite turned off by the ugliness I’ve seen over the last few weeks where this issue is concerned…makes me want to run for the hills. We are people, not just computer screens and font. Hopefully both designers are able to put this behind them and they will continue to be successful in their efforts. I think you did a very good job of clearing up this copyright problem. I also think if others had actually seen the so called “tote” that caused the problem it might have never became an issue. 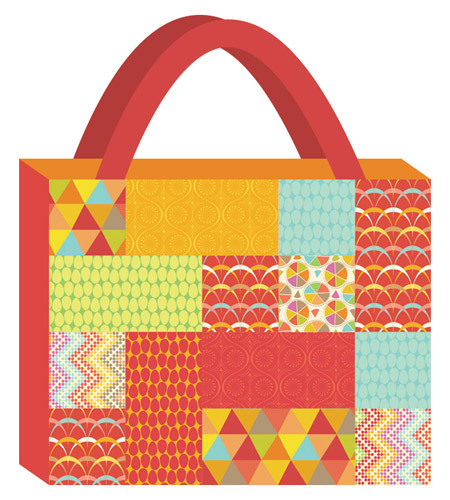 At first it was my understanding that the entire quilt picture was used on the tote, not a portion as you showed. Good job Thomas of explaining. Thank you so much! I wanted to write this post myself but didn’t want to inflame more… that other designer is so sweet and wonderful (as are you) that I just couldn’t believe what people were sayiny. Thanks again! very well described, thank you so much. As an author, I have been reading along closely, too That was a great article. Thanks. Beautifully written and you have cleared up so much for me, as a blogger, and I am sure for so many others out there. Great, informative post. Thank you. Thank you for making this so clear – and visual for those of us who are visual learners. It is always sad when a private legal issue becomes public and results in a fray. The issue with the tote always made sense to me as a copyright problem. Really the only curious remark I heard was that lawyers were demanding all copies of the book be destroyed. Perhaps this was later rescinded – not being part of “the fray” I haven’t followed it. 🙂 Thanks again for your balanced post. Very well said! We need some reminders in our social media soaked world……..”If you can’t say anything nice, don’t say anything at all.” I read 100 times more than I post and I am glad that I read yours. Thank you. Very well said. Concise and clear. I have been upset for Kate since I read and posted at a site where the well known owner/blogger called this copyright terrorism and copyright nazis. I found that immature, shameful and uninformed behavior. Many of the subsequent posters are bashing Kate. They need to be directed here! I do think CT publishing needs to do a pr blitz for Kate to make up for the loss of her reputation. 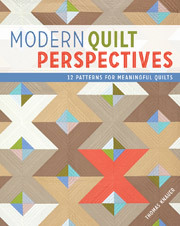 sending all the ps i quilt readers over to see this. Nice job, Tommy boy. I love seeing everyone’s appreciation for your position — one which many of us share. Hope you’re doing well! Great post, thanks for being so clear – I’m sure this helps a lot of people understand the issue. 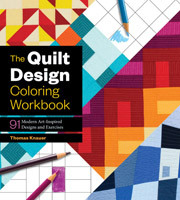 One question I have, I noticed the book in question had images of fabrics used on the pages of the book by lots of designers that had fabric used in the quilts – is that not also a copyright issue since the images of the fabric were scanned and then reprinted on the pages of the book? 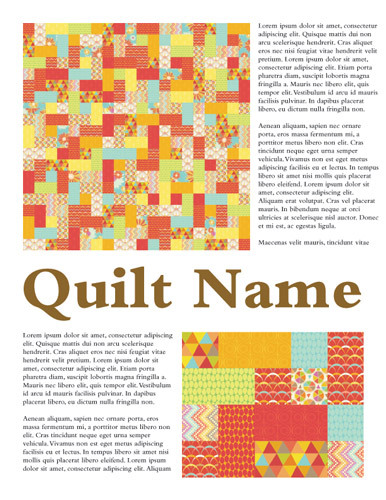 Can I also remind people that if you see a quilt and then it inspires you to make another quilt that is a bit different but still has the essence of the first quilt – it would be courteous to credit the original quilt/quilter. Heck, if you completely copy someones quilt then it would be uncool to pose the idea as your own. This is perfect, simply perfect. I haven’t gotten involved with my opinion publicly, but you really nailed it. I didn’t understand what all the fuss was about until I saw the tote bag, then it was crystal clear. This is the post that should be referenced above all other when reading about this issue. Applause! I really hate the sound of sides being taken and conclusions being jumped to when we are most often just spectators who have nothing in it but our noses. Thanks for your edifying post. Wonderful post – thanks for taking the time to educate those of us that had no idea on the subject. Job well done. Thank you for discussing the points I’ve been feeling have been left out! And with grace and humor and class. Great post – thank you! I read one of the early, misinformed postings on another blog about this, and was upset by the tone, as well as all the nasty comments. I’ll continue to support Kate when I purchase her amazing fabric! Carry on and quilt quilt quilt! Thank you so much for taking the time to walk folks through the appropriate analysis. As a handknits designer, I’ve been watching this discussion in the blogosphere carefully and I agree with your conclusions and appreciate the thoughtful way that you’ve explained everything. Well done! This post was so WELL DONE. Bravo. I’m sure it took some serious effort to do it so thoroughly. Thank you for investing that time. Great addition to the already excellent explanation of copyright. It would be very nice if closed minded people also came with closed mouths. My mother taught me, if you can’t say something nice…. don’t say anything. Opinions are not legally required to be shared. Thanks for this Thomas. Unfortunately the people who need to read this probably won’t. I have pretty much sat back & read the whole thing & kept quiet. I just hope that the ones who were responding so horribly to Kate come across this post. Thanks for this well written and very enlightening post! I had heard about this legal issue occurring during the early stages of it, but did not follow the developments simply because it didn’t seem like the whole story was or could be presented. Copyright is a complicated issue and I appreciate you giving us more info from the designer’s point-of-view. It was unfortunate that this negative situation had to occur, but the discussion around licensing designs and respective copyright ownership has been very useful and eye-opening. Thomas, thank you for taking the time to write this post! Thomas, thanks for taking the time to write such a thoughtful, clear and civil post. Great post! I know in the beginning I was worried about what I posted on my site because a lot of the pieces were left out of the story. I was glad to hear the rest of the story and realize that I had nothing to worry about. Thanks for taking the time to post this! It’s a rare blogger who can use the word “elucidates” in a sentence. Love it! Wonderful post too. I really appreciate you going into this in detail. I did always assume I could make and sell something made from a fabric. I would have assumed anyone would have understood, you can’t steal someone’s work (printed design) digitally, then reproduce it in another form and start selling that without the original designer’s permission (first) and fee. This would be marketing people. I, for one, am not the least offended by your post. I think it all needed to be clarified for many who may not understand. Thank-You! I came across your this post via Kate’s blog. Count me as a new subscriber! Intelligent & professional. I’m glad that in addition to addressing copyright, you also mentioned how hurtful and negative using “Nazi” in common everyday language is. I really like your post. It has the best information about this issue that I have read so far. 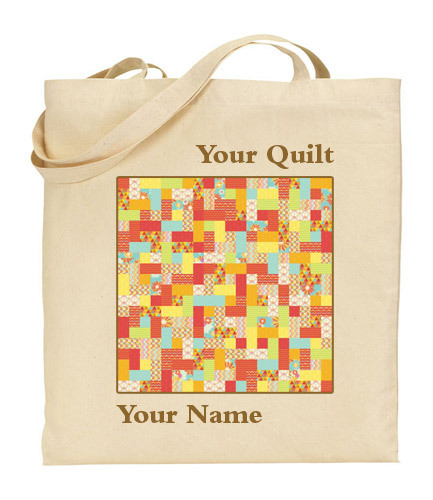 I really like the visual example with the quilt and tote. I wish one more thing could happen in this issue: no anonymous comments will ever be allowed on any blog. Thank you for a clear and easily understood description of copyright law (in USA?). I had not heard about this issue till today but can see why people were confused. My local chain store has “exclusive” fabrics which clearly state on the selvedge that the fabric is for personal use only. I wanted to make some items for a charity stall (our only form of fund raising) so I did the sensible thing before getting myself and my quilting group into trouble – emailed the fabric companies involved for permission to sell items made from their fabrics! I am also a knitting teacher and wanted to use a particular form of cast on, heel technique and bind off in a recent workshop I taught (unpaid). Again, I emailed the “designers” to seek their permission to reprint their instructions, two of which were freely available on the Internet. I feel it is better to be safe than sorry and as I was representing a guild as tutor on this occasion, needed to protect their reputation as well as my own. I am curious though; you mention reprinting your designs on fabric or paper. 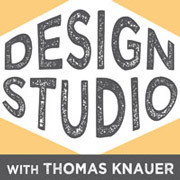 What if someone used your design to make a knitted object or a tapestry or an embroidery. Would that still be a breach of copyright? My thoughts are that it would be. Again thank you – a most interesting and thought provoking article. This is by far the best explanation of fabric/quilt copyright issues that I have read. thank you.